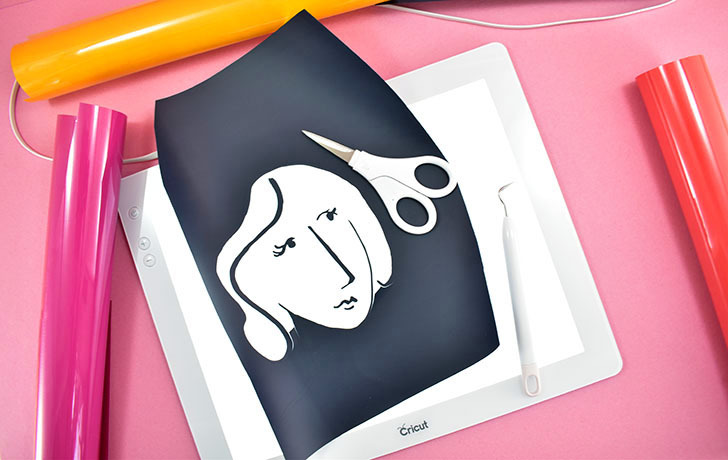 Wondering what crafts you can do with a Cricut Brightpad? Weeding vinyl is a great and obvious use, but check out these other crafts that work great, too! Sometimes I do this thing where I like to meander the craft store and see what’s new that I might be able to use in an upcoming project. Often I find lots of things that turn into posts that I share here. But unfortunately, sometimes I find things that only ever wind up seeing the bottom of one of my craft stash bins. I always have the best intentions, but there aren’t enough hours in the day for me to use the sheer volume of crafty things I have always accumulated as gifts from others and gifts to myself! But I’ve been doing better about all of this in general. I literally shed all of my craft stash except for what could fit in SIX plastic tubs. SIX. Isn’t that kind of insane? I had TONS OF STUFF that filled a gigantic lateral filing cabinet, 40 canvas storage cubes PLUS the closet in my craft room AND a little bit of the closet in the guest room. Can you even believe I only kept SIX PLASTIC TUBS WORTH OF ALL OF THAT CRAFTING GOLD, friends? But I’m all Marie Kondo this and Marie Kondo that. And then I had a big move and only so much space in the moving truck and blah, blah, blah. And so a whole freaking bunch of crafty stuff is finding a new life at the secondhand store and I’m hopeful that it will be used rather than sit in the bottom of a canvas box. Don’t you just adore this shirt I made? I used House That Lars Built – I’ve Got My Eyes On You T-Shirt cut file on a mustard long-sleeve tee with black Everyday Iron-on and this is now one of my fave shirts! My shedding of all of this STUFF has also made me realize how much MONEY I have spent on this STUFF. And so now I’m making more mindful purchases. I’m not purchasing supplies for projects that are later in the month, let alone later in the year. Chances are I’m going to change my mind or forget about what is going on and then that stuff won’t get used. Things are being purchased and used on an as-needed basis. I’m also taking care to purchase higher quality things. Digging through boxes of this and that as packed, I found that I would sometimes have 2 or 3 of the same thing because one wasn’t working super well and it was just easier to buy one that DID work super well. I’m also now trying to purchase things that I can use for more than one project. Sure a shaker of glitter isn’t much of an investment, but when you realize you have 30 shakers of it and some you only used a single time, well, that’s a whole lot of waste of resources and money. Summer of last year, I had seen the Cricut Brightpad and I instantly wanted one. But the thing is I hated the idea of buying something that I would use JUST to weed vinyl. But then came Christmastime and I found myself weeding some pretty serious designs for EIGHT Christmas shirts on a tight squeeze of a timeframe. And I don’t know if I’ve ever loved a craft tool more than my new Cricut Brightpad. Look at that sucker down there. THAT IS A TON OF WEEDING, FOLKS. Well, when I got a gigantic heat press another Christmas when I had done the same exact poor time management in regards to familial Christmastime-wear that sucker was a huge relief, too. But, unfortunately, after the gift wrap hit the floor on Christmas morning, the family in their tee pics were taken and I was back to normal life, I rarely used that expensive darn piece of equipment because it was just too much work. But, luckily, my Cricut Brightpad has been in pretty heavy use ever since I opened that baby up. But first, what is a Cricut Brightpad? The Cricut Brightpad is a durable LED light that is bright and uniformly lit to help you with your DIY and craft projects. It has 5 brightness settings that you can easily change with a push of a + or – button as needed which is great when you find yourself working in variable lighting situations around your home. Those 5 light settings start at 400 and move up to 1300, 2200, 3100 and 4000 lumens giving you a lot of play with the brightness. With this ability to adjust the light as needed, you will likely find yourself dealing with a lot less eye-strain. And since the Cricut Brightpad is super lightweight and comes with a really long, 6-foot power cord, you can work pretty much anywhere you have a wall plug within a few feet of you from your craft table to the sofa. And with a non-slip base, it will stay easily on a tabletop or your lap. Okay… that’s WHAT a Cricut Brightpad is, but how have I been using mine? 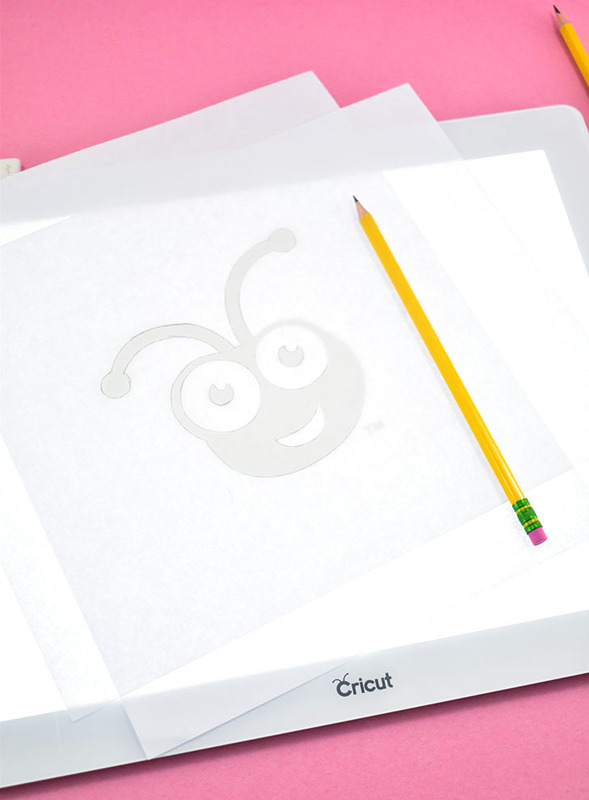 Use your Cricut Brightpad for tracing and drawing. 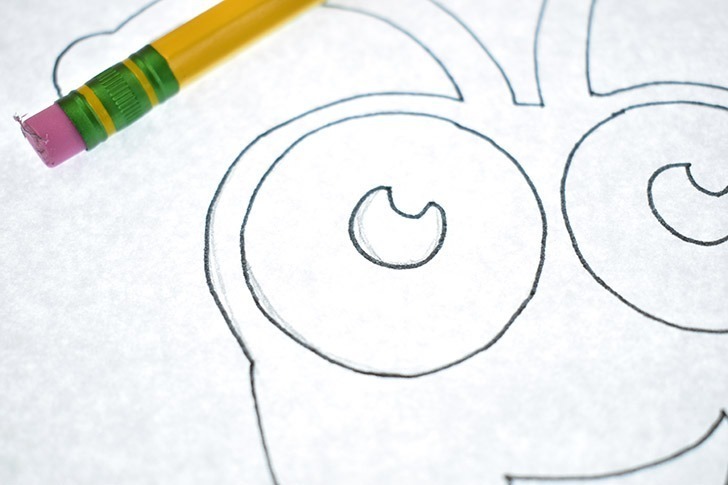 As far as drawing skills go mine do just that… they seem to come and go. When I practice a lot I do much better, but when I’ve fallen out of practice drawing basic things can take AGES. A few months ago I had ordered a light pad for my nephew for his budding art skills and then it clicked that I could do the EXACT SAME THING with my Cricut Brightpad. Boom!!! I mean, it might seem super obvious, AND it’s kind of on the cover of the box, but it totally wasn’t to me until I thought outside the box (haha). Now when I have something to draw up or sketch out I can use images from books, I find online, etc. that I can sketch on top of as a basis for my shapes. I rarely straight up copy something, but you can totally do that if you need to. 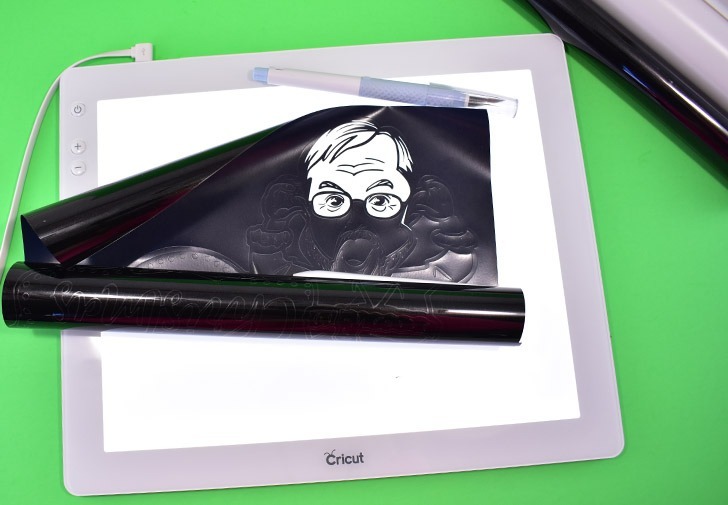 Use your Cricut Brightpad to clean up your drawings. I just HATE when I go to scan something and it pops up on screen with a whole mess of issues that I couldn’t see on the paper with it just sitting on my desk. I’m talking pencil marks that weren’t obvious, areas that I didn’t fully color or fill in and the like. When that happens I have 2 options. 1. Clean the image up and scan it again hoping I got it all that time, which I never, ever seem to manage to do on the first attempt… or 2. Digitally edit the living daylights out of that scanned image cleaning up all the mistakes I made on paper. And hopefully, whichever option I choose, doesn’t take ages and ages. But with my Cricut Brightpad. I just toss my image on top, up the light to max and then make sure that I erase or fill in any problem areas BEFORE I even get to the scanning stage. I’ve got to tell you, this little step in my process has started to save me a TON of time. 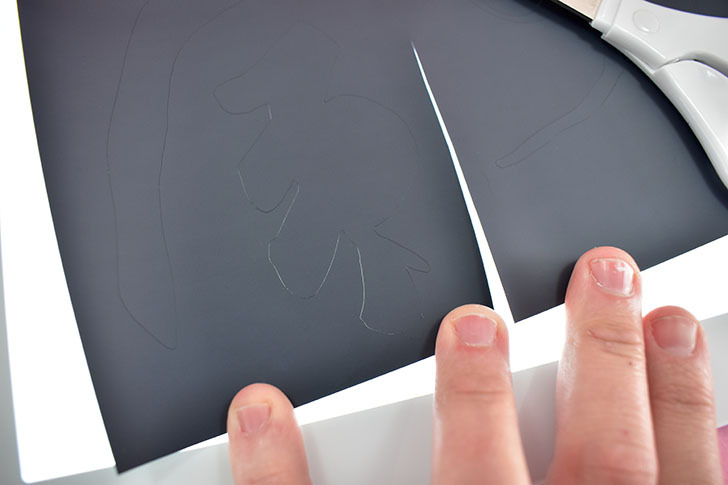 Use your Cricut Brightpad to weed your vinyl. Okay, okay, so this was the obvious one. Of course, you’re going to use a Cricut product for weeding vinyl because that is a HUGE part of being a Cricut product owner. But I have found my Cricut Brightpad to be so helpful that I just want to be sure to add it in here even IF it IS obvious. See that up there? That’s the light coming through the cuts on that House That Lars Built – I’ve Got My Eyes On You T-Shirt that I shared up on my mustard tee nearer the beginning of my post. Now, how much easier is that to see than just straight up weeding on a table that isn’t backlit? Because for me it saves me so much eyestrain that I just LOVE it. 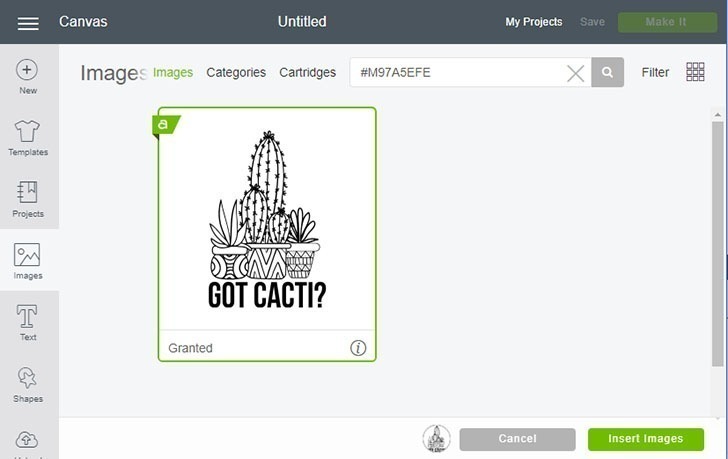 Use your Cricut Brightpad to better see small pieces like in jewelry-making. Having a backlit area to place your jewelry findings like jump rings can make things so much easier to find. Plus it also helps you really see those small things when you’re trying to open or close them with your hands full of jewelry tools, or whatever. 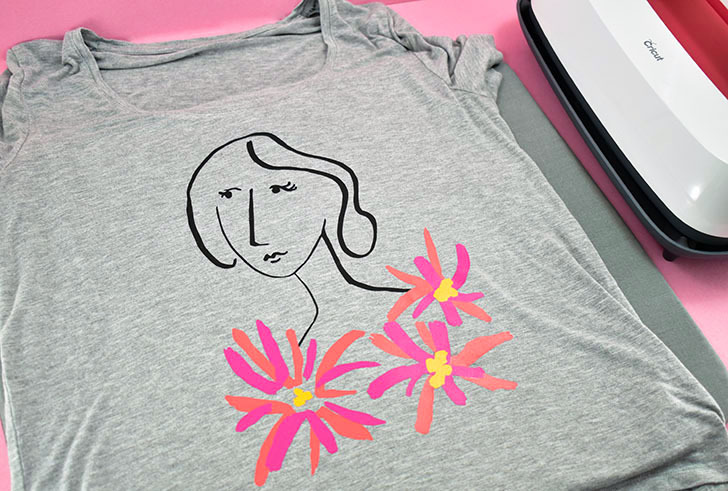 I don’t have a photo of working with my jewelry tools because I haven’t quite unpacked them, yet, so please enjoy this Ah-mazing tee I made using the House That Lars Built – Flower Girl T-Shirt cut file because I’m ALL About The House that Lars Built cut files. Like, totally. And this totally isn’t limited to just jewelry-making. There are so many crafts and hobbies that utilize teeny items like model making. 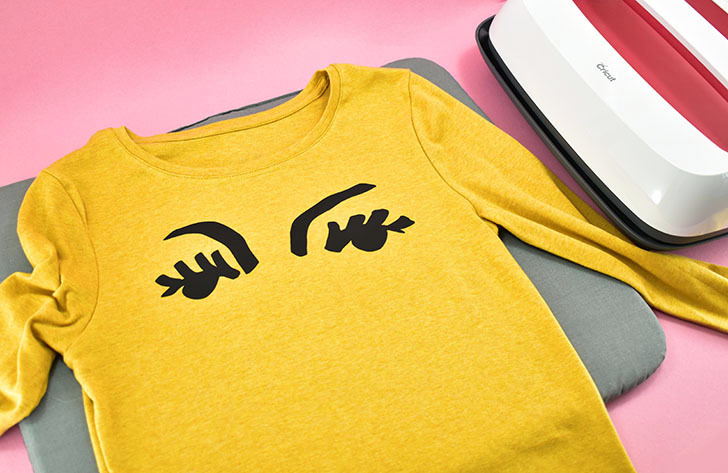 Any kind of project like that you’ll find your Cricut Brightpad a HUGE help that prevents a considerable amount of eye-strain and just helps you stay sane since you won’t be losing tons of tiny pieces as you work. 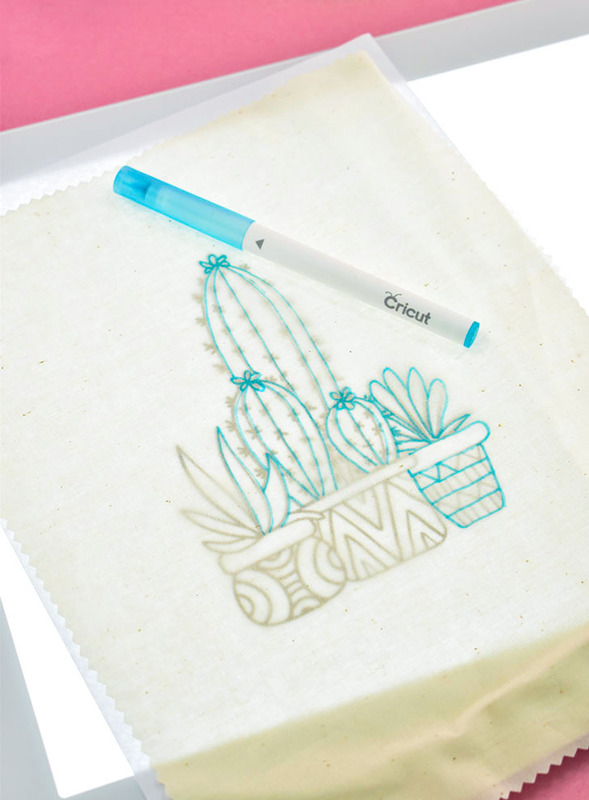 Use your Cricut Brightpad to transfer embroidery patterns to fabric. Way back when I was always embroidering. And when it came time to transfer my embroidery pattern to fabric to get to stitching, I had a few options. One was to take one of those awful red transfer pencils and push like crazy into the paper and trace on top of a design, only to hope I didn’t make any mistakes that or I’d have to start over, to then take the time to iron that sucker onto the fabric. And FINGERS CROSSED that I remembered to mirror the darn thing before I printed it out or my words or whatever was going to be backward. THAT was my least favorite of all embroidery transfer methods but one I used often. Wondering where I snagged that awesome embroidery pattern? It’s actually this Got Cacti? file that I omitted the text from in the Cricut Design Space! When I feel particularly stitchy and particularly broke and I don’t want to replace expensive transfer markers, I’d always tack my business up on the window and wait for the sunlight to hit it just right so I could trace the design onto the fabric, usually with a pencil or an inexpensive fabric marking washout marker. But NOW I can do the same thing in the middle of the night because… BOOM! I’m using my Cricut Brightpad to do it. Genius, right? 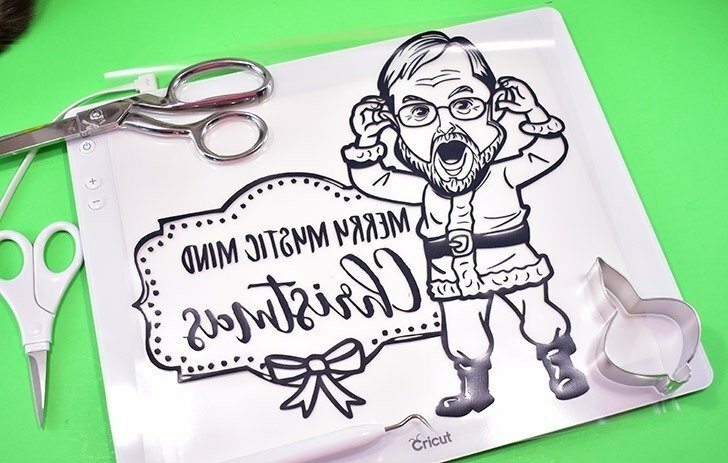 Use your Cricut Brightpad for so much more. The longer I have my Cricut Brightpad the more ways I think up to use it. 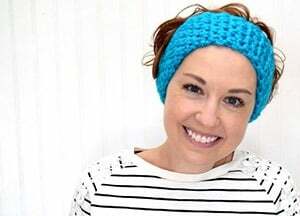 What I had been concerned would be a one-hit wonder that spent a lot of time in the box in my craft closet, has actually seen a lot more action than I ever would have imagined. As I dream up more ways to use mine, I’ll be sure to let y’all know. And if you have a way that I haven’t considered, share it in the comments so we can all get the most out of our Brightpads! Don’t have your own Brightpad yet, but I’ve totally sold you on one? Grab one over at Cricut.com and THEN let me know how you use the daylights out of it! 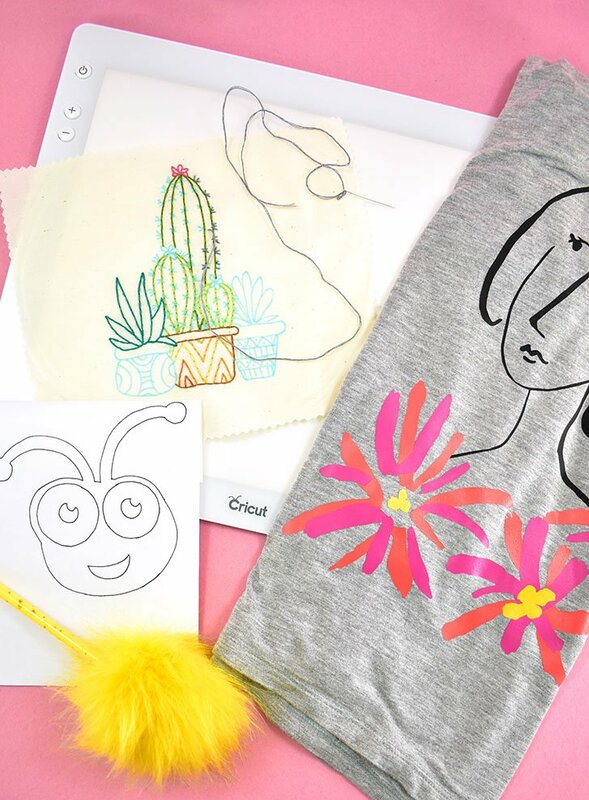 I love the idea of transferring embroidery patterns with this product! I’ve been looking for a lightbox, and this looks like a flat, portable easy solution. The difference brightness levels sound like a huge plus too.